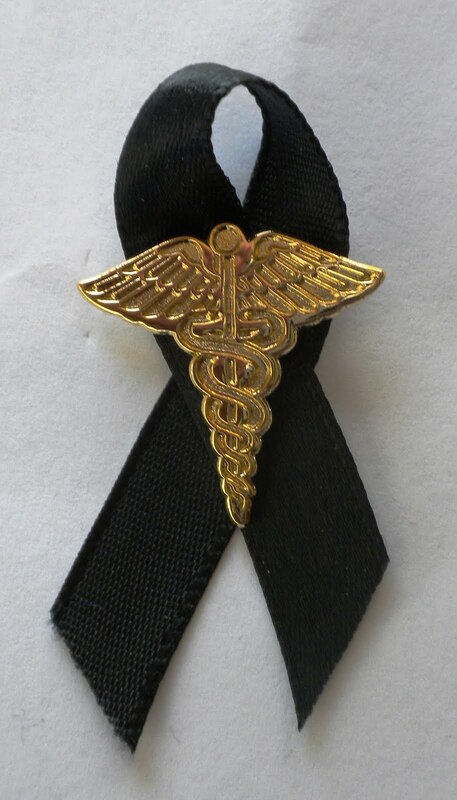 The Black Ribbon Project was started by Dr. Beth Haynes, MD in response to the passage of the PPACA. Dr. Haynes, who worked for many years as an emergency room physician, is currently devoting her time to researching and writing on health care policy and medical ethics. All blog posts are written by Dr. Haynes, unless otherwise noted. The Black Ribbon Project is supported solely by private donations. The Project is not a 501(c)(3) organization, and donations are not tax deductible. Awarding of pins to individuals in recognition of their contributions to furthering health care freedom and promoting the sanctity of the doctor-patient relationship.